The study, “Phosphorylation Dynamics Dominate the Regulated Proteome during Early Xenopus Development,” was published in Nature Scientific Reports last month. 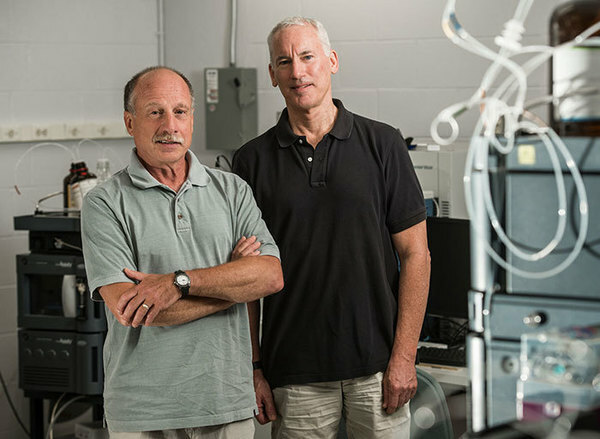 The study was a joint effort between the labs of Paul Huber, professor of chemistry and biochemistry, and Norman Dovichi, the Grace Rupley Professor of Chemistry and Biochemistry. Using the model organism, Xenopus laevis, researchers measured changes in the levels of proteins as well their phosphorylation, that is, amino acids to which a phosphate group is attached. Phosphorylation changes the cellular identity of proteins, and can have many effects. Not only can it change the structure or activity of a protein, it can also influence a protein’s interaction with other proteins. Also, because the researchers measured both phosphorylation and the protein levels together, they were more clearly able to identify how changes in phosphorylation regulate key events in egg formation and fertilization. In addition to the increased understanding of the role of phosphorylation in fertilization, the team also discovered that protein levels are modified less than previously expected, Huber said. The study also provided evidence that micro-RNAs, which are regulatory molecules, may play a more important role during the earliest stages of Xenopus development than previously expected. The role of micro-RNAs had been somewhat controversial. The Xenopus frog model is often used for developmental biology studies because their oocytes and embryos can be easily viewed and modified. Because they are vertebrates, observations learned while using the Xenopus model can be easily translated to other vertebrates, including humans. Originally published by Deanna Csomo McCool at science.nd.edu on December 14, 2017.